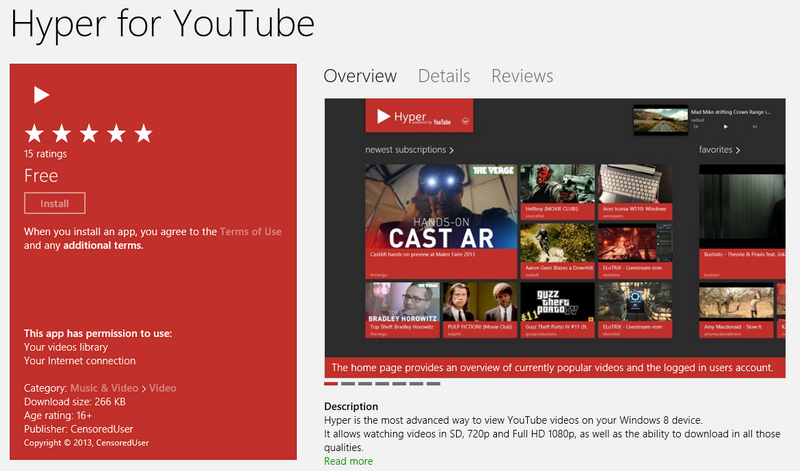 Hyper for YouTube – An App to rock your YouTube world! Here is yet another awesome YouTube Player App in the Store. Just dropped two days ago. The thing with YouTube players is that once you’ve seen one, you’ve probably seen them all. Still, there are some subtle differences. It is the extra-mile that a Dev covers that makes the diff between a ‘good’ app and an ‘awesome’ app. So you can place this app in the category of Awesome thus. 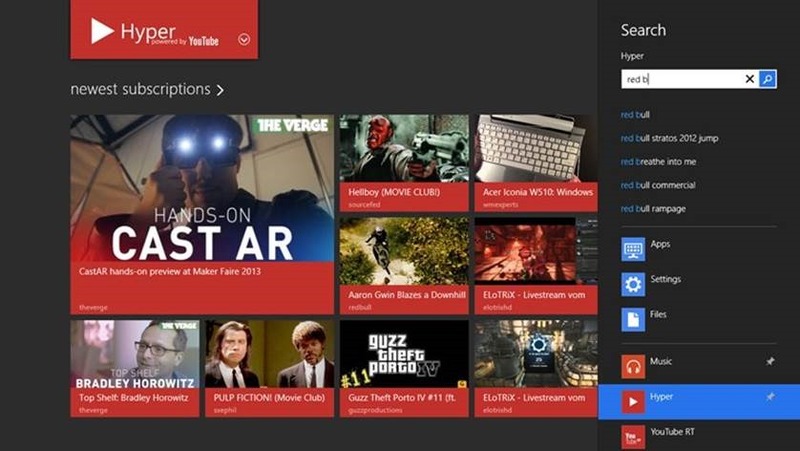 This app covers everything you can think of about YouTube: Accounts, Uploads, Comments, Reviews, Subscriptions, Playlists and last and most important, background playing of videos. Yes, most of us, play our favorite bands via YouTube these days, and while playing you want to get other things done on your device probably. 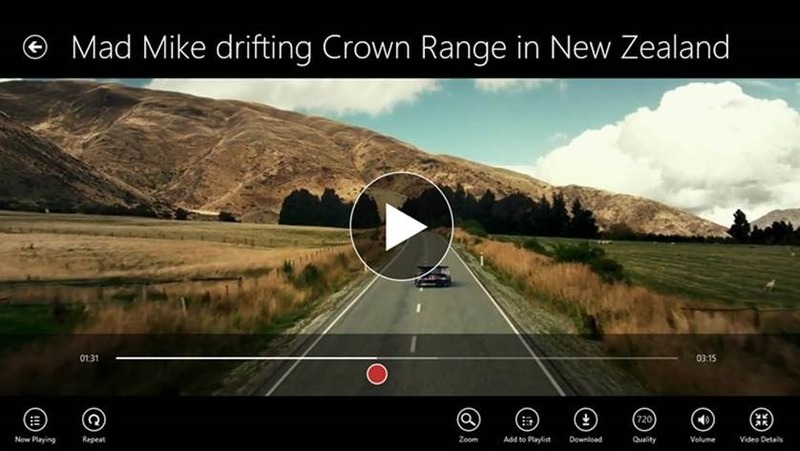 As we know, Windows 8 allows background playback of Music only, some devs have cleverly figured out how to keep the video playing in the background while you switch away from the app. This is one of those apps. You can chose the format to always play, HD or Standard resolutions. Just via a checkbox, you can tell this app to always playback in FullHD or SD. 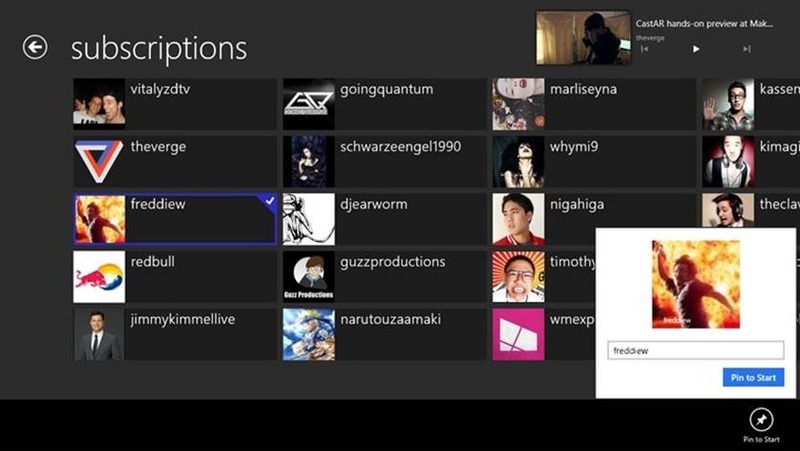 You can Search via Search Charm and select multiple items from returned list and add them to PlayList. So you can bring up your favorite band and press CTL+A to select all the videos and play them all, just let it run in the background. As I type this, I am running all videos from Christy Nockels at the background! 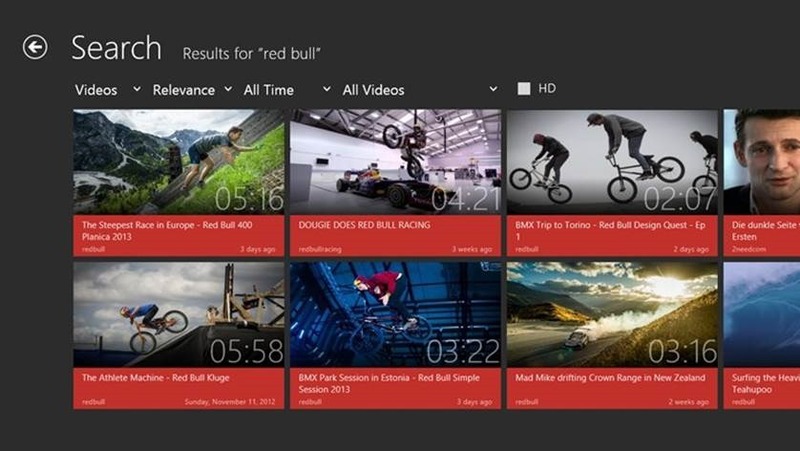 Hyper is the most advanced way to view YouTube videos on your Windows 8 device. It allows watching videos in SD, 720p and Full HD 1080p, as well as the ability to download in all those qualities. 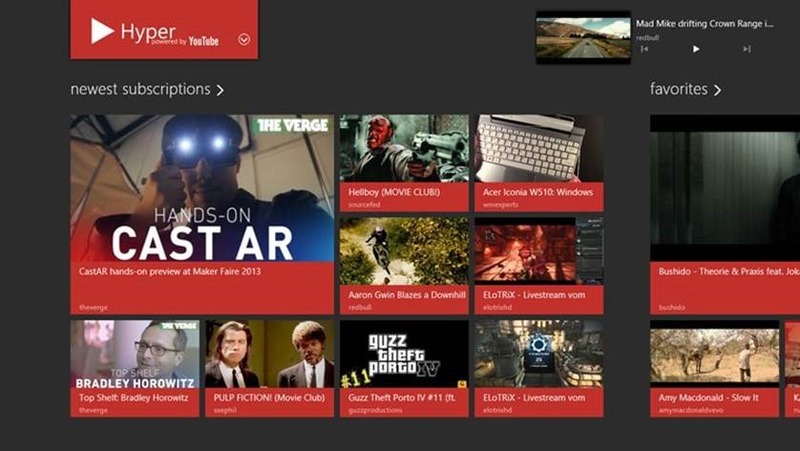 You can sign in to see your latest Subscribed videos as well as comment and rate videos. Save default Quality Settings – the correct quality for your connection every time! Simply Type to Search from the Home Screen! Play videos in the Background! 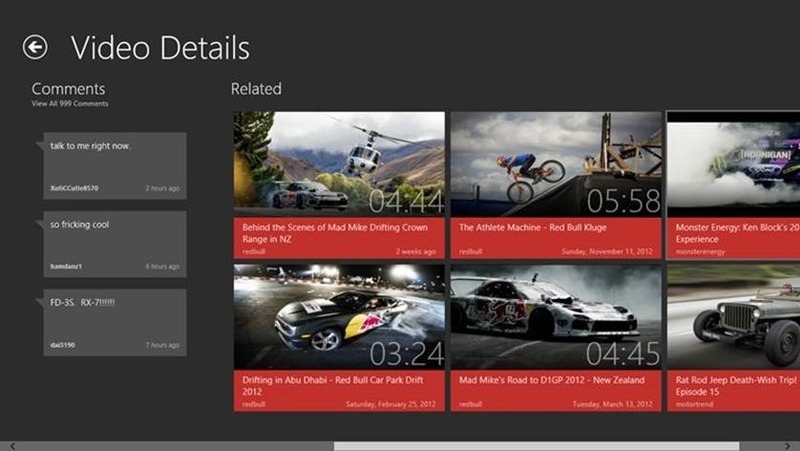 Control videos & playlists with media buttons! Toast Notifications for Completed Downloads. Customize your home screen to exactly how you want. Artist Metadata for tagged Music videos. Like they say, the taste of the pudding…, you need to get the app for yourself and give it a spin, don’t just take my word for it. You can thank the Dev later by giving your Review in the Store for packaging such awesome features in such a tiny app at just 266Kb size. Let us all encourage good devs by leaving good review behind, and what’s more, when such an awesome app goes for Free in the Store, the best you can do is meet the Dev mid-way by leaving good reviews. So go ahead, download this Free App and start playing and downloading your fav. videos on YouTube. Download via the Source link below. Previous Previous post: Daily Workouts App now in the Store for Health & Abs. Awesome. Thanks for this! 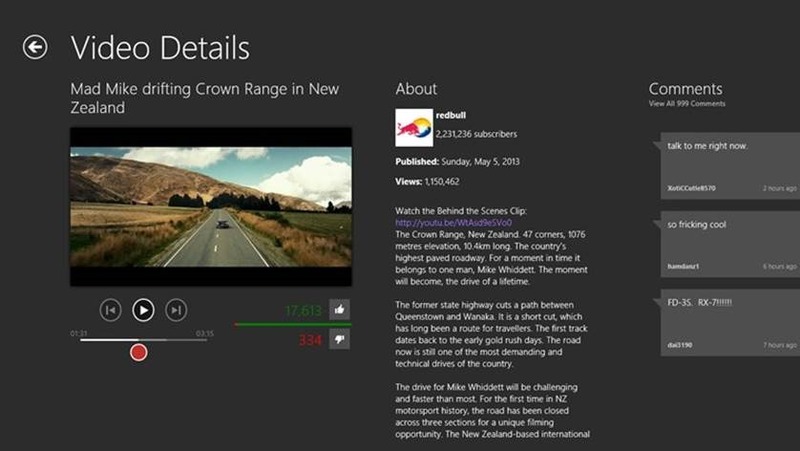 Love to see the uploading & background playback feature! Will get it now, Inshallah (God Willing). Oh I see! I can imagine rhis kinds of fully-featured apps to be a thorn in Google’s side. They possibly sent a Cease & Desist to Microsoft to have the app removed. wonder how long this remains in the Store that’s why I wanted to reach the Dev. Hi this is the Dev :) Thanks for the awesome review! Glad to see you’re enjoying the app! This app is the same as YouTube RT, which was removed due to a trademark claim by Google. I’m not on Twitter, but you can reach me via email at info@hyper-app.com if you have any further questions. Thanks for your response. Much appreciated! I have just sent you a mail. Hope to hear from you.